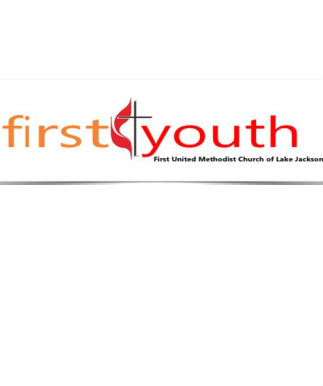 First Youth - In addition to the pics and videos, our Facebook page has lots of information about coming events, contact information, and even registration form downloads. Check it out! The youth ministry at FUMC is an exciting place to be! Our goal is to gather with our students as often as possible to share the joys of coming together as a body of believers. Time spent together paves the road to building strong relationships and to change/enrich lives through Jesus Christ. Loving One Another - Sunday Mornings (10am) during the Sunday school hour, we have a small group ministry. Classes are divided into 6th grade, Jr. High (7th & 8th grade), and Sr. High (9th-12th grade). We study the Bible together, but focus on building relationships and understanding what it means to boldly live out our faith. The goal is to develop friendships that inspire and encourage one another in our relationship with God in our journey of faith. Praising God - On Sunday evenings we gather together in the Youth Center - the program includes a snack, games, a short message from Kim and group prayer/share time. Strengthening Families - The youth ministry seeks to strengthen families by providing special events and programs throughout the year. We offer Bible Studies for parents, family outings, coffeehouse concerts, parent/youth events, and other ideas still to come to strengthen family bonds. Submerge is a children’s Bible study group for grades 5 & 6. We have fun together and dive deeper into the Word of God. Together we share food, fun, and fellowship. We meet on the 2nd and 4th Sundays of the month (during the school year unless otherwise stated in newsletters and bulletins.) We meet in The Blue Door Room from 3:45-5:00 p.m. Confirmation is a time when your child will explore his/her faith, make decisions regarding their faith and learn what it means to be a Christian. The program includes weekly sessions with an adult mentor, a day retreat and a strong prayer ministry for your child.